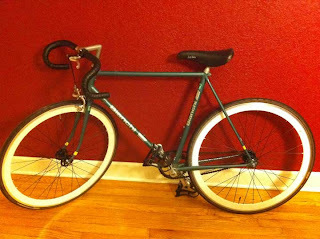 "Home broken into on Thursday, May 12 and bike was stolen. Bike has been in family for many years and means a lot to us. Green/Blue single speed (reversible hub) Bianchi with white rim tires. Stolen from west Miami Shores. Contact valdes925@gmail.com with any info you may have".